Photo 1 of 4. Click to view slideshow. 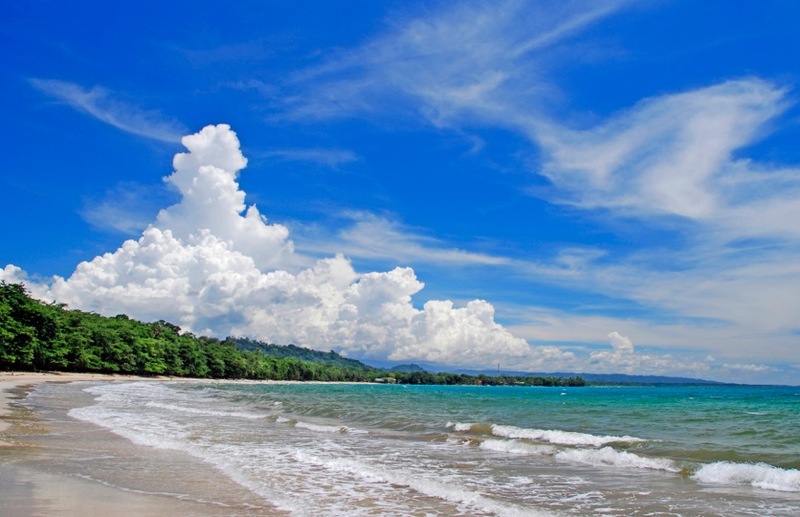 Cahuita was once the most developed town on the South Caribbean coast although it has since been eclipsed by Puerto Viejo. But it retains a more Caribbean vibe than the more international Puerto Viejo and the community has strong cultural links to calypso music and authentic Caribbean cooking. 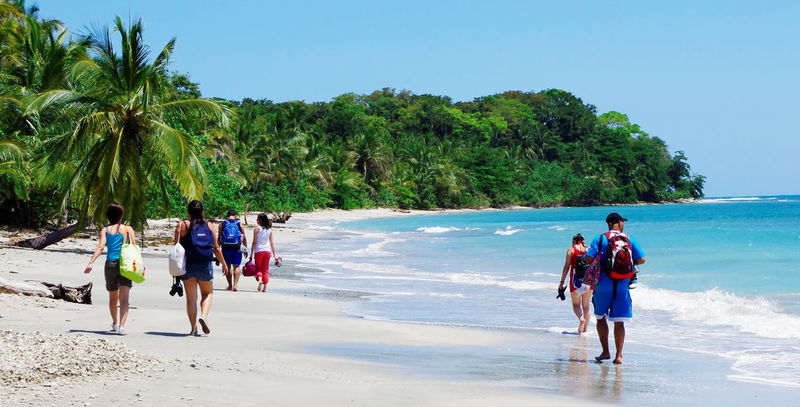 It also boasts the main entrance to Cahuita National Park which is one of the jewels of the coast with its beautiful beaches and abundant wildlife. The town has a wide variety of services including a bank, supermarkets, many restaurants and a wide variety of hotels so many travellers elect to base themselves here for their visit to the South Caribbean coast. Getting south from Cahuita to Puerto Viejo is only practical via the highway so it is not recommended for walking or cycling. But there are frequent buses or it's just 20 minutes by car or taxi. Check the local transport page for more details. Offering 6 different vacation houses, some built as tree houses, on a spacious property with pool, lounge, breakfast area, bbq. Each house has a kitchen, private bath and there are options which can accommodate up to 6 persons. Hotel with a pool, Brown Pelican Restaurant and Kukula Bar in front of the beach. The simple guest rooms with stucco walls in Caribbean colors and tile floors, ceiling fans, and plenty of wood trim. Each has a small patio which opens onto the hotel's lush gardens. Vacation rental apartments with two bedrooms, bathrooms with hot water, a fully equipped kitchen with refrigerator, stove, coffee maker, dining area, seating area with cable TV and Wi-Fi. Each has a balcony overlooking the garden. 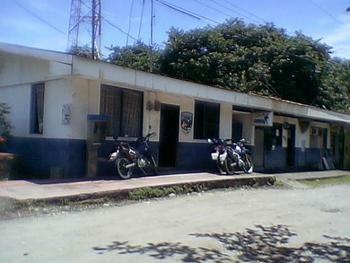 Cahuita Branch of BCR with ATM, money exchange and banking services. Lodging and horseback riding tours. Simple rooms and cabins. Single rooms with shared bath. Cabinas with private bath. Breakfast restaurant. Bike rentals. Casa Mariposa is a one bedroom with 2 beds / one bath vacation rental beachfront on Playa Negra, 15 minute walk to center of Cahuita. Kitchenette. 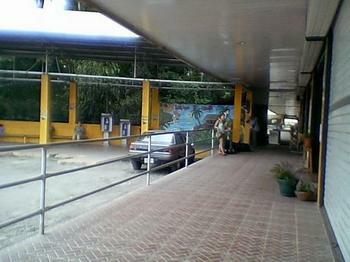 Cabinas right near bus station with a small outdoor pool. Rooms with private baths, A/C. Shared kitchen. 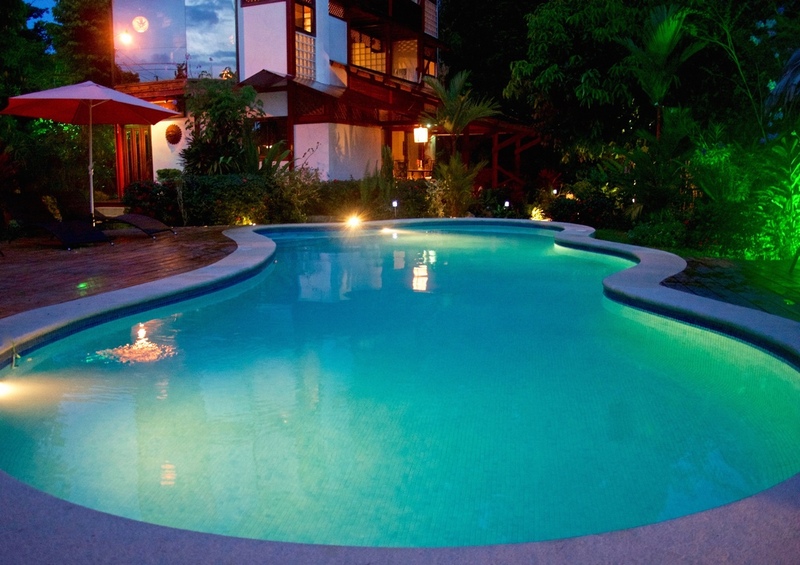 Hotel near the center of Cahuita but without the noise of the street. Accommodation with a large garden and comfortable well equipped vacation houses. All with TV, Wifi, private bath. Some with kitchen. 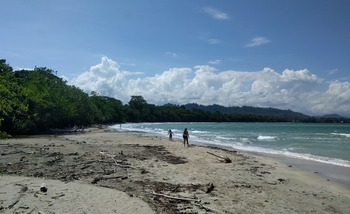 Small affordable beachfront cabinas centrally located in Cahuita. All rooms have ocean view, private balcony, private bath, and fridges. Affordable double and triple rooms around a garden each with a small terrace with table and chairs and a hammock. The rooms have television, wardrobe and private bathroom. There is shared kitchen. Cabinas in garden setting near Playa Negra beach and about 10 minute walk to Cahuita center. Variety of options including single, double, triple and quad and the equipped Caribbean House, a two bedroom / 1 bath vacation rental with kitchen. Sea view, 50 meters from the beach & the Cahuita National Park entrance. Large, clean, basic rooms, sleeps up to 5 people per room. Private bathroom, hot water, fan. Secure parking. Nice sea breeze. Restaurant open for breakfast & lunch. Souvenir shop. Italian owned oceanfront property with small pool and Pizzeria Cahuita restaurant. New simple stylish rooms with seaviews, wifi, private baths and A/C. Established in 1970 to protect the coral reefs offshore, this park protects 2,635 acres (1,067 ha) on land and 55,350 acres (22,400 ha) of marine area. You may only visit the reef with a guide. The land attractions of the park include many miles of nature trails with opportunities to see monkeys, sloths and more and gorgeous beaches from busy to quiet and deserted. Entrances are at Kelly Creek (pedestrian only) beside downtown Cahuita or at Puerto Vargas (car/pedestrian). Located right beside the entrance to Cahuita National Park, offers simple rooms with private bath, most with views of the park or beach. Restaurant. This wooden house is nestled into a natural setting of tropical flowers and fruit trees and has a private pool. The two story home has 3 bedrooms, 2 bathrooms and a light and spacious open plan kitchen/dining/living area. The main bedroom has ensuite bathroom and private veranda, overlooking the colourful and leafy garden. The veranda and balcony are furnished with sofas and hammocks. Fully equipped and well-maintained. Four vacation rental homes each with 2 bedrooms, double beds, fans, safe, flat screen LED, large bathroom with tub, shower, bidet, hot water throughout the house, fully equipped kitchen, refrigerator, balcony with hammocks and outdoor shower. Some with A/C. Pet supplies and veterinary clinic offering x-rays, ultrasound, surgery and export certifications. 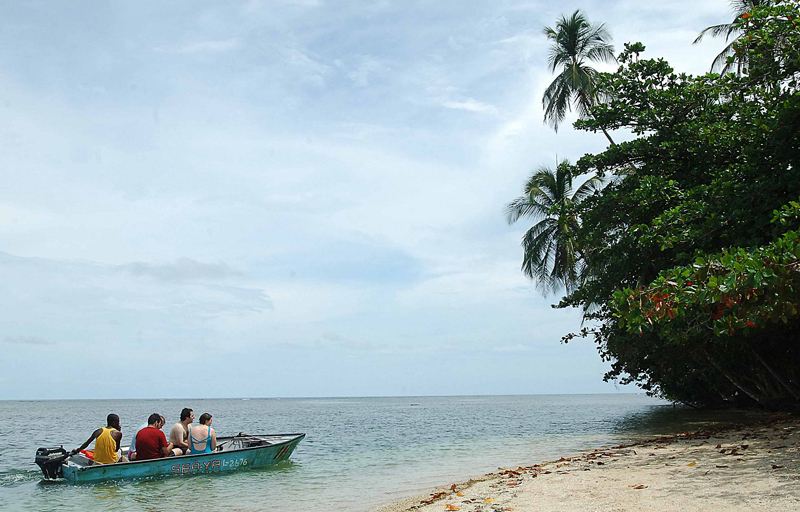 Lodging consisting of three individual wooden bungalows Colibri, Mono Congo and Toucan. The bungalows are less than 200 meters from the beach at Playa Negra. Each spacious bungalow has custom designed rustic style bamboo furniture, a large porch with hammocks & chairs, floor safe, internet and includes breakfast. All set in a garden of flowers and birds. French owned bed and breakfast with 7 rooms each with private bath and 1 apartment. Shared facilities include swimming pool, jacuzzi, kitchen, bbq, secure parking. All rooms have a ceiling fan, air conditioning, fridge, TV with cable, terrace with hammock and free wifi. Just 300m from Puerto Vargas entrance to Cahuita National Park. 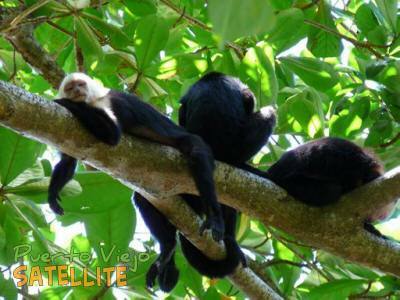 Small hotel 10 minutes walking from the village and Cahuita National Park. The beach is just 100 m. Offering rooms and studios, 1 with kitchen. All with private bath and patios overlooking the lush garden and pool. Breakfast included. 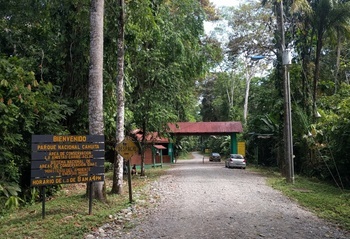 The Cahuita Complementary School & college is an integrated preparatory school and college, duly recognized by the Ministry of Public Education. Hotel and retreat center (yoga etc) hidden away in the jungle, about 10 min car ride from town. Good for groups, weddings, business trips etc. They sleep up to 50 people, have conference room, restaurant, places for yoga, big rancho, big swimming pool. All inclusive possible. Hostel offering dorm beds, private rooms with shared or private bath. Swimming pool, shared kitchen, hangout areas, wifi, lockers. Extra services include breakfast and dinner, laundry, tours. Caribbean style colorful rooms, suites and 2 or 3 bedroom bungalows. Each with queen or king bed, private bath with hot water. Most with A/C and Jacuzzi. Breakfast included. Swimming pool surrounded by coconut palms. Boutique hotel with 4 spacious rooms and a suite with separate sitting area. Located right beside the National Park and facing the beach there are plenty of opportunities for wildlife viewing. A generous continental breakfast is served. Swedish/French owner Erica Eriksson is passionate about wildlife and speaks French, English, German, Spanish and Swedish. Offers four guest rooms and two detached bungalows. All nestled in the heart of a 6650 m2 tropical garden, facing Playa Grande. Guest rooms come with breakfast. Bungalows have equipped kitchens. Dojo offering self defense and Tae-Kwon-Do lessons and event space. Colorful hotel with 10 rooms around a pool. The rooms have tile floors, private baths, A/C, Wifi and TVs. Breakfast is included. House rentals on a private 2 ha estate with a swimming pool and nature all around. The 145m2 main villa has 2 bedrooms each with A/C, ensuite bathroom, floor to ceiling windows and private deck overlooking the national park. The completely equipped kitchen opens to the living room which steps into the garden to the swimming pool. The bungalow is 77m2 with a modern Balinese style and two bedrooms, 1 bath, fully equipped kitchen, comfortable living room and outdoor deck. Small luxury boutique hotel just 150 meters from Playa Grande. Located in a private jungle oasis, the recently remodeled hotel offers tropical gardens, a pool, a yoga studio, bbq area, bar and lounge. Has six stylish, recently remodeled guest bedrooms, with a comfortable atmosphere and modern amenities. Three villas in a property with a pool and large garden. Each villa has two bedrooms, bath, kitchen, living room, patio area, A/C, TV, A/C and Wifi. Modern stylish one bedroom vacation rental apartments with kitchen, A/C, flat screen tv, patio w/ garden view, some with sofa bed. Breakfast is included. Boutique hotel with rooms and cottages located at Cahuita's Playa Negra, one km north of the centre. The 4 rooms vary in size, some accommodating up to 4 persons. Each with mini-fridge, coffee maker. Some with A/C. There are 2 two bedroom cottages and one studio, each with full kitchen, private bath, porch. All with private bath, safe, wifi. The property has a pool and lush gardens. 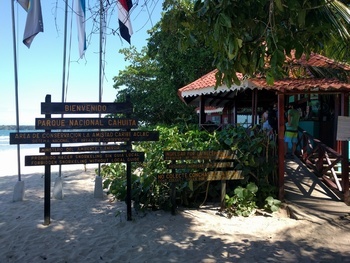 Ranger station entry for Cahuita National Park where you'll pay your $5.00 USD fee to enter the park. Both cars and pedestrians can enter here and there is a bus stop along the main road if you arrive or leave by bus so you can take the bus to one entrance and leave via the other. There are showers, toilets and parking 2.3km from here at the Puerto Vargas info center (you can't drive further than that). This hotel backs on to Kelly Creek & abounds with wildlife. 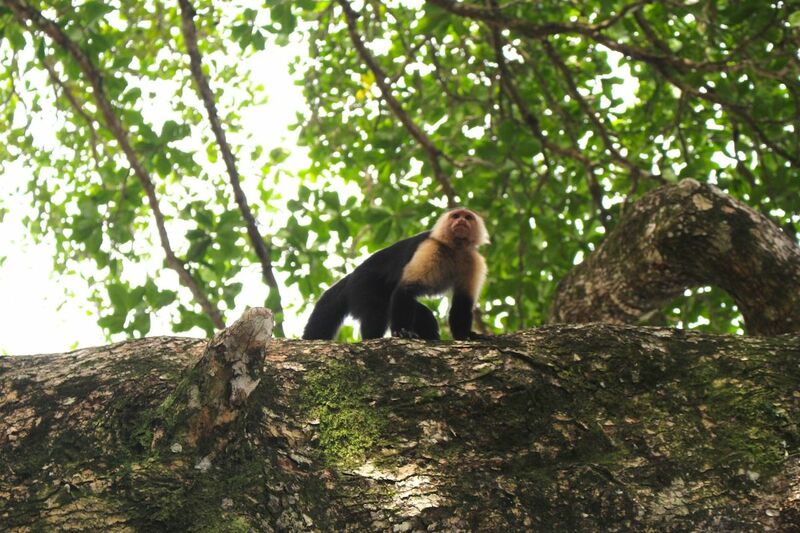 Beautiful gardens in front and access to the river at the end of the property where you might see raccoons, sloths, Agoutis, Mantled Howlers and White-headed Capuchins, Iguanas and a variety of birds. A resident guide "Peck" is available for private tours. Only a 5 minute walk to the National Park entrance. Variety of rooms and cabins available, some fully equipped with kitchens. Hostel offering dorm beds, private rooms and family rooms. Shared kitchen. Sanctuary for orphaned and injured sloths. Informational tours where you can learn about their work and see the sloths including the famous "Buttercup" who has been with them since 1992. Rehabilitated animals are returned to the wild whenever possible. They also offer rooms at the Buttercup Inn which is reserved for guests who take the Insider's Tour. Closed Mondays. The "Crazy Swiss Lodge" is a property with a pool and restaurant located about 3 km from the town. Room have private bath, ceiling fan or A/C, safe, mosquito net, coffeemaker and own entrance with a small terrace. Bungalows have a king bed and a second room with 2 singles. There is also a mini-fridge and microwave. Breakfast is included. The restaurant also is open for lunch and dinner from 1:15 pm to 8 pm. Two bedroom vacation home built amongst a giant ancient ficus with 8 m diameter. One side of the house is a wall of the giant's tree trunk. There is an equipped kitchen, dining room, bathroom and 2 decks, one with hammock, one with an open air living room. There are 2 bedrooms, each with its own window opening out into the tree's branches. One with queen bed, the other with two twin beds, all with mosquito nets. Wildlife rescue center and botanical gardens. 10 acres of gardens with many different types of plants. They take in animals who need refuge because of injury, loss of habitat, the pet trade etc and rehabilitate them. Daily tour most days at 11 a.m. I spent week in Puerto Viejo four years ago and plan to go back next January for a month. I will be traveling with my brother & sister in law. We are looking for a house that is comfortable and with screens. Any suggestions welcome. I have not spent much time in Cahuita , but it looks nice . There is not too much to do around there as in P.V. Maybe you guys could split your time up ..half in each area. That would be fun , I think! Playa Cocles would be good for the P.V area. It is close enough to town and there are nice beaches nearby also. Hit the farmer's market EARLY saturday in P.V! Have fun!